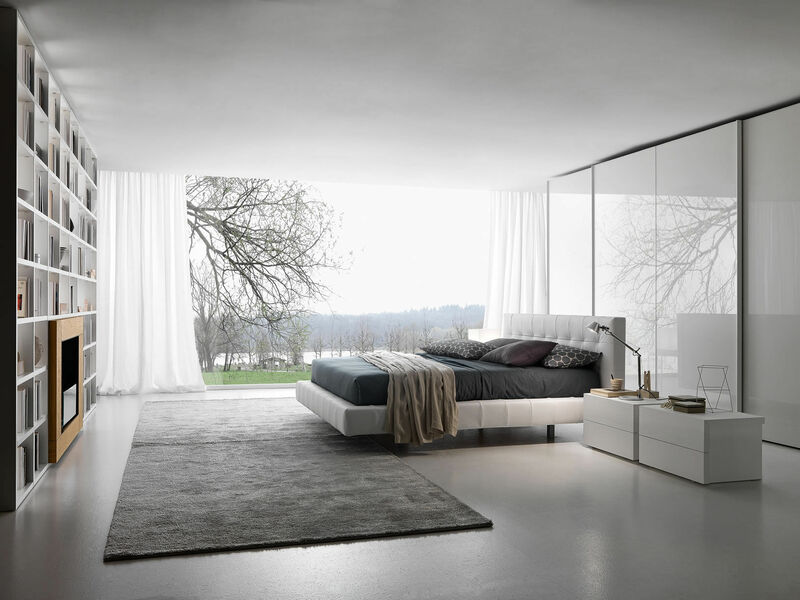 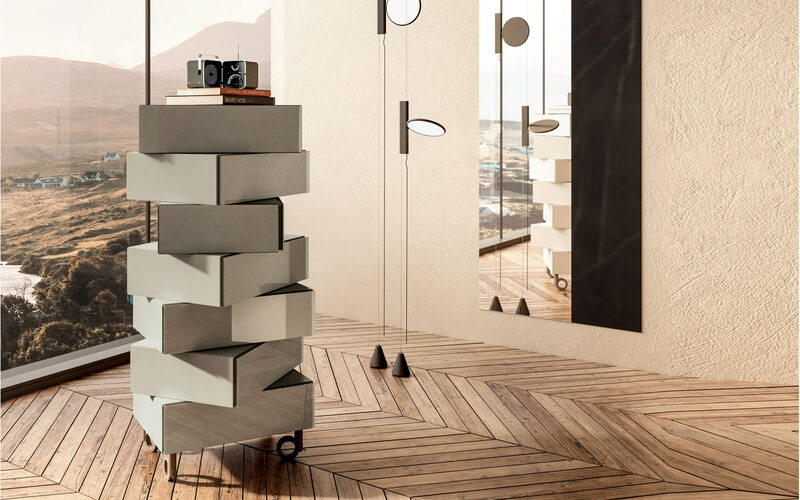 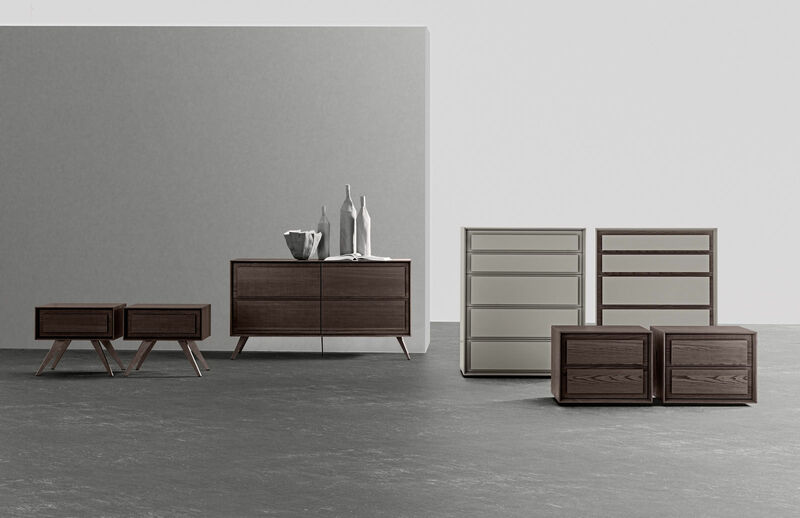 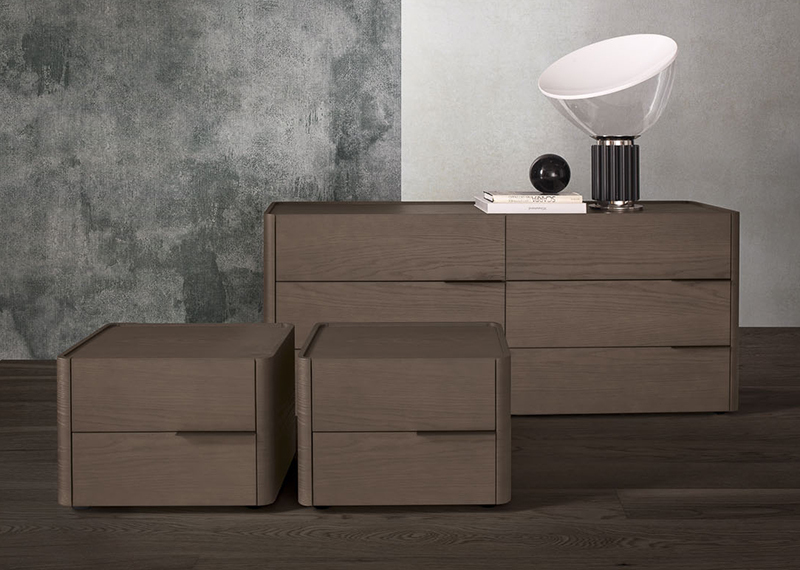 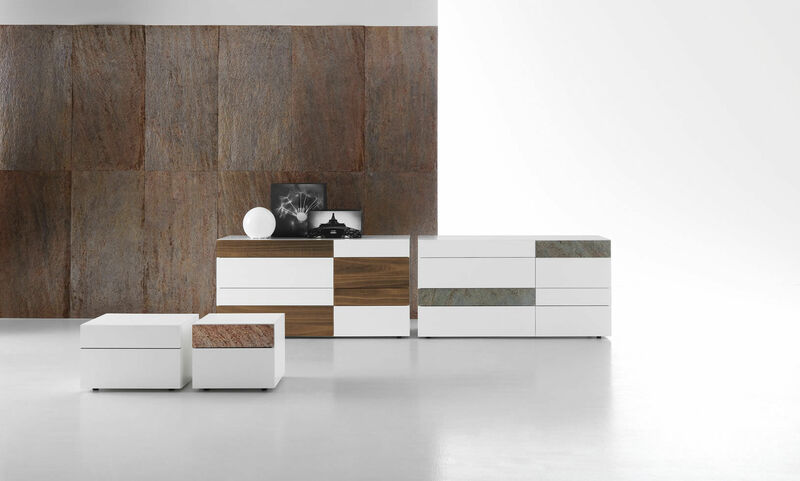 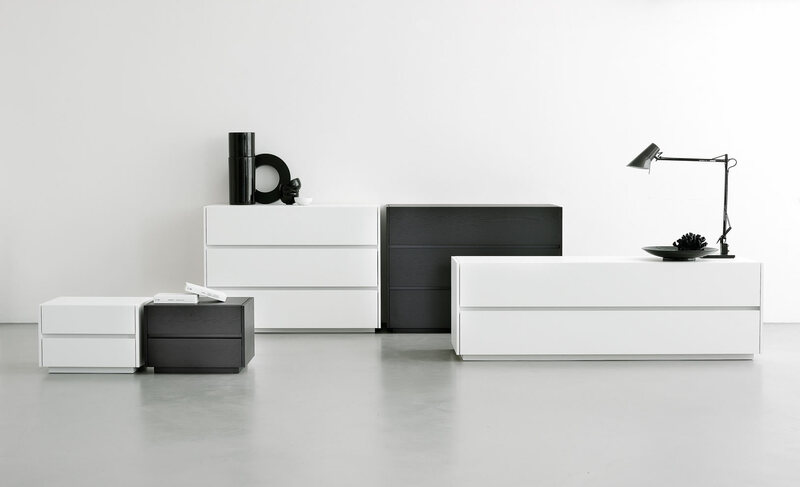 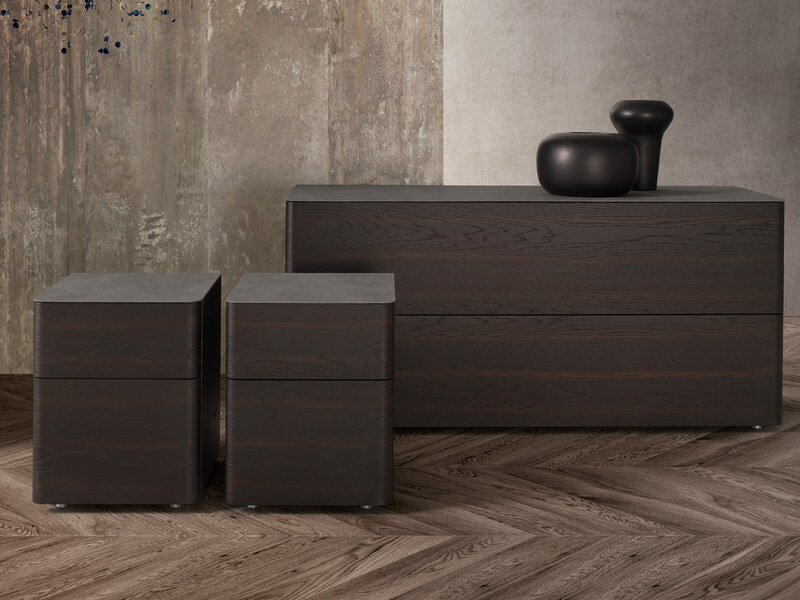 Morgana is a sculptural chest-of-drawers and quintessence of movement. 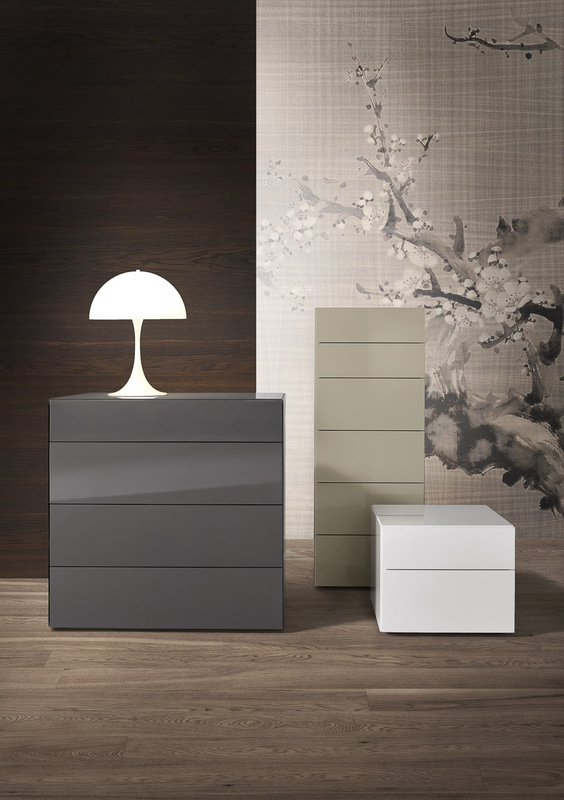 Generous drawers stacked one on top of the other rotate with total freedom of movement thanks to an internal joint. 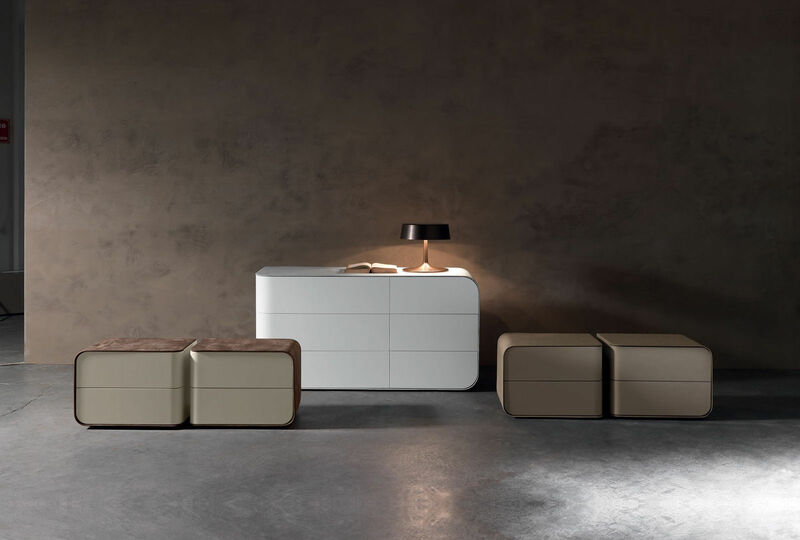 The compositions are enlivened by a magical dynamism, in a harmonious overlapping of functionality, irreverence and elegance. 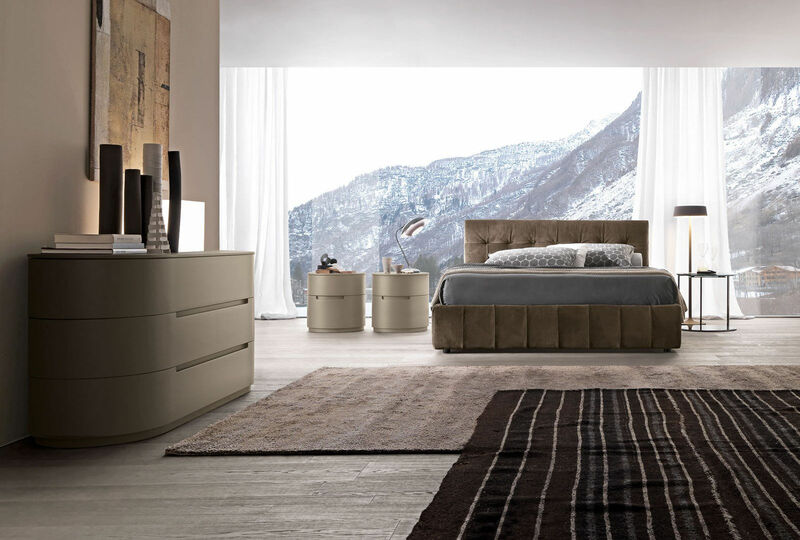 All of the compositions can be customised drawing on an infinite choice of colour combinations and paired with accessories. 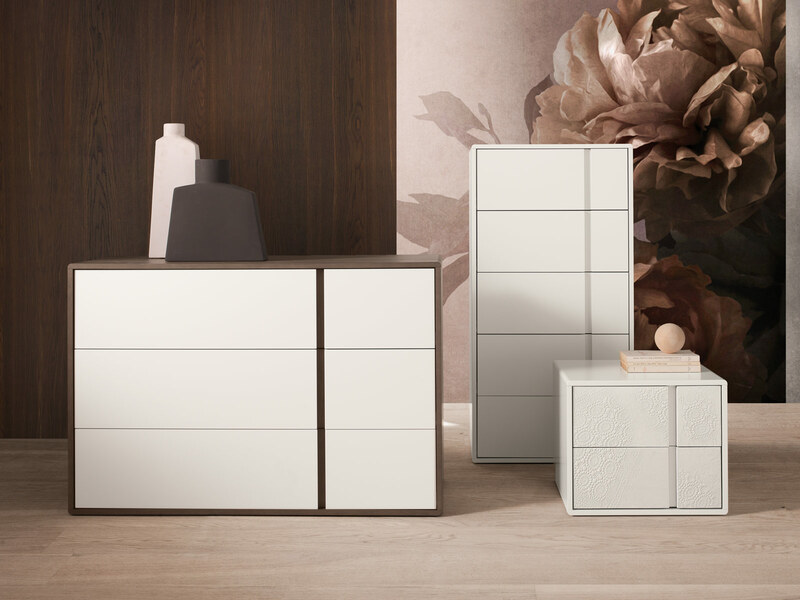 You can create your own personal design, choosing from 1 to 7 drawers in two depths, adapting the piece to your space and specific needs. 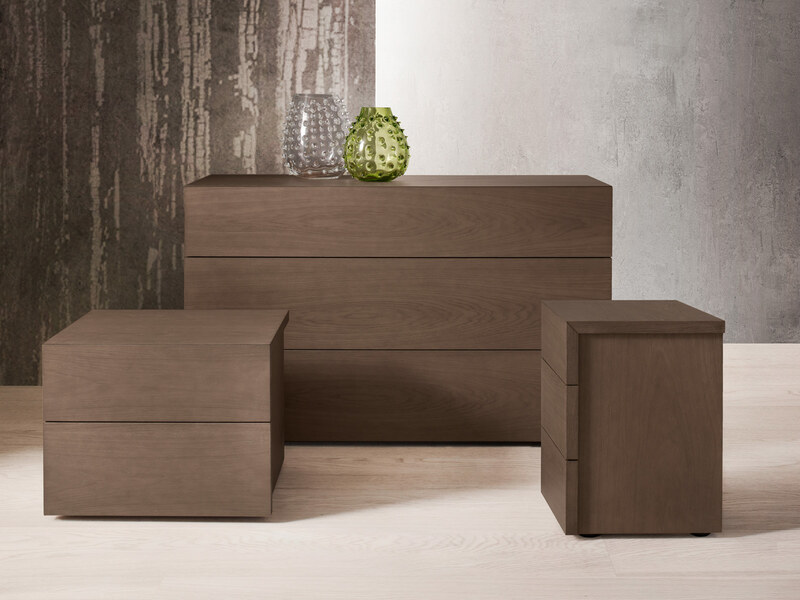 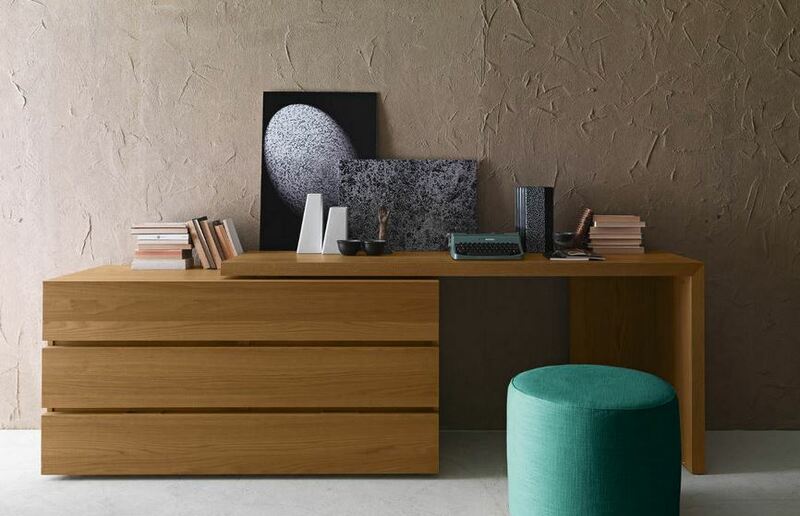 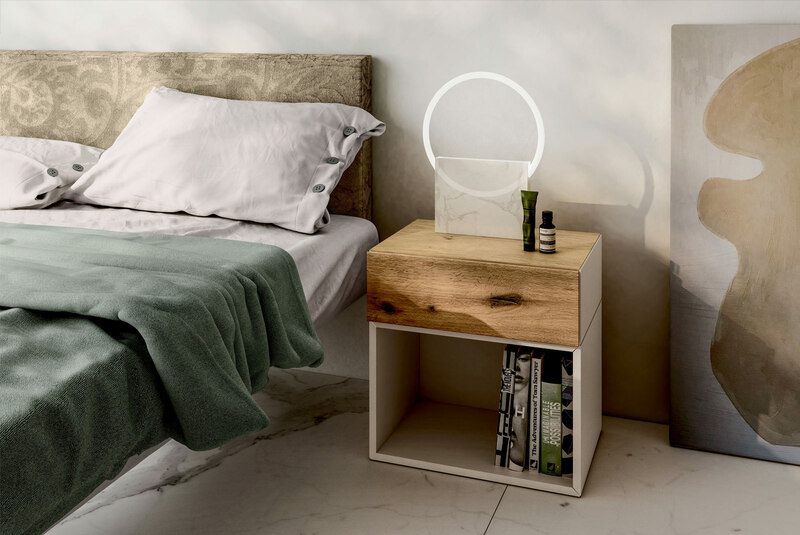 Depending on the selected composition and number of drawers, Morgana can be a bedside table or chest-of-drawers and is suited to the bedroom, living room and bath. 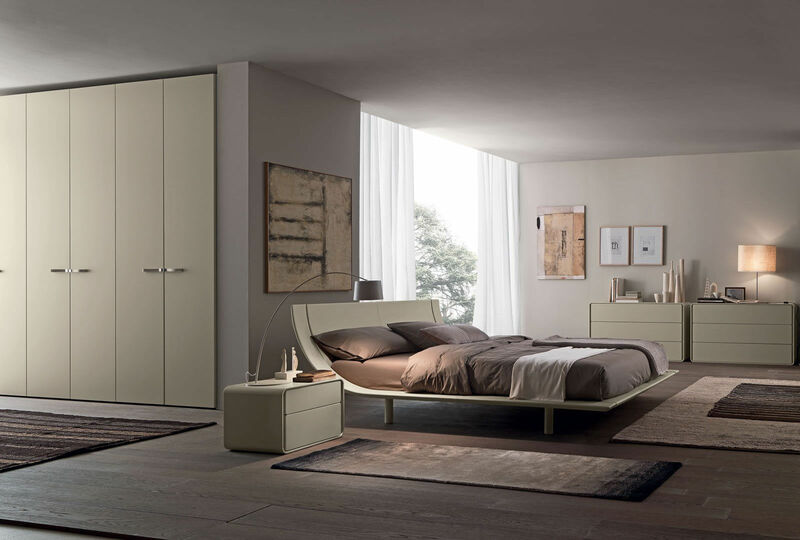 Lacquered structure, front in polished or matt glass available in 32 colours. 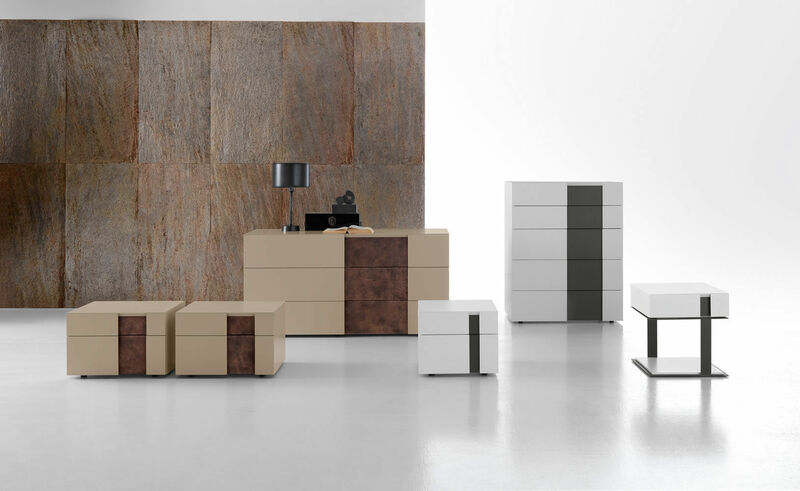 Standing on concealed feet or optional casters.